1-part low modulus polyurethane sealant for building joints. Sikaflex® PRO-2 HP is a one part, moisture curing, low modulus elastic joint sealant based on polyurethane. Suitable for movement and connection joints for indoor and outdoor applications. Sikaflex® PRO-2 HP is suitable for sealing joints in civil engineering building construction especially for movement joints in concrete but also for joints in facades, balcony parapets, connection joints (around windows and doors, facades, metal cladding, precast concrete) as well as joints in wood and metal structures. Conforms to the requirements of ISO 11600, F 25 LM. 15 months from date of production if stored in undamaged original sealed containers, in dry conditions and protected from direct sunlight at temperatures between +10°C and +25°C. Chemical Base 1-part polyurethane, moisture curing. Joint Dimensions Min. width = 10 mm / max. width = 40 mm The sealing of joints of widths less than 10mm may be possible providing the sealant remains within its stated movement capability MAF and all joints are designed in accordance with B.S 6093: 1993. The joint width must be designed to suit the movement capability of the sealant. In general the joint width must be > 10 mm and < 40 mm. A width to depth ratio of ~ 2 : 1 must be maintained. Minimum joint width for perimeter joints around windows: 10 mm All joints must be properly designed and dimensioned by the specifier and the main contractor in accordance with the relevant standards, because changes are not usually feasible after construction. The basis for calculation of the necessary joint widths are the technical values of the joint sealant and the adjacent building materials, plus the exposure of the building, its method of construction and its dimensions. Backing: Use only closed cell, polyethylene foam backing rods. Substrate Quality Clean and dry, homogeneous, free from oils and grease, dust and loose or friable particles. Cement laitance must be removed. E.g. metals, powder coatings etc. have to be cleaned with a fine abrasive pad and Sika® Cleaner-205 by using a clean towel / cloth. After a flash off time of at least 15 min, apply Sika® Primer-3 N by using a brush. Before sealing allow a flash off time of at least 15 min. (max. 8 hrs.). For PVC use Sika® Primer-215. Before sealing allow a flash off time of at least 15 min. (max. 8 hrs.). E. g concrete, aerated concrete and cementitious renders, mortars, brick, etc. have to be primed with Sika® Primer-3 N by using a brush. Before sealing allow a flash off time of at least 15 min. (max. 8 hrs.). Important note: Primers are only adhesion promoters. They neither substitute for the correct cleaning of the surface nor improve their strength significantly. Primers improve long term performance of a sealed joint. For further information refer to the Sika® Primer table. Substrate Temperature +5°C min. / +40°C max. Ambient Temperature +5°C min. / +40°C max. Sikaflex® PRO-2 HP is supplied ready to use. After suitable joint and substrate preparation, insert backing rod to required depth and apply primer if necessary. Insert cartridge into sealant gun and firmly extrude Sikaflex® PRO-2 HP into joint making sure that it is full contact with the side of the joint. Fill the joint, avoiding air entrapment. Sikaflex® PRO-2 HP must be tooled firmly against joint sides to ensure good adhesion. Masking tape must be used where sharp exact joint lines or exceptionally neat lines are required. Remove the tape whilst the sealant is still soft. Smooth joint with smoothing liquid for a perfect sealant surface. 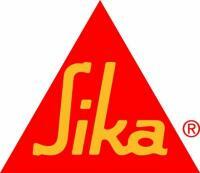 Clean all tools and application equipment with sealant remover / Sika® Remover- 208/ Thinner C immediately after use. Hardened / cured material can only be mechanically removed. Elastic sealants may not be over painted. Compatible coatings may cover the joint sides to max. 1 mm. The compatibility must be tested according to DIN 52 452-2. Do not use Sikaflex® PRO-2 HP as a glass sealer, on bituminous substrates, natural rubber, EPDM rubber or on building materials which might bleed oils, plasticisers or solvents which could attack the sealant. Do not use Sikaflex® PRO-2 HP to seal swimming pools. Please consult our Technical Department before applying Sikaflex® PRO-2 HP in joints with permanent water immersion. The freshly applied sealant has a smell similar to 'Marzipan' until it has fully cured (benzalehyde).